The focus around Vancouver as of late has undoubtedly been Chile, at least when it comes to wine. Our recent Vancouver Playhouse International Wine Festival (http://www.playhousewinefest.com/) was a raging success, as always, and Wines of Chile ( http://www.winesofchile.org/) has been helping to create memorable experiences throughout BC and the rest of North America. 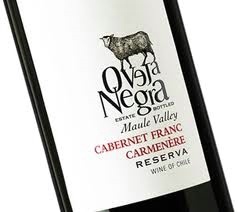 As many of you know, I have not been immune to the almost frenzied pull of Chilean red wines, and find the quality vs price to been some of the finest value in the world. Long gone are the days when saying "Chilean wine" was a subtle code for "table wine". These days Chilean wines are on some of the most prestigious winelists to be found, and sommeliers and wine merchants alike are clamouring for more, more, more! 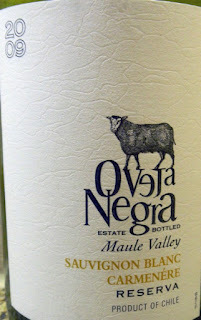 Which brings me to Ojeva Negra, the black sheep, http://www.viawines.com/. 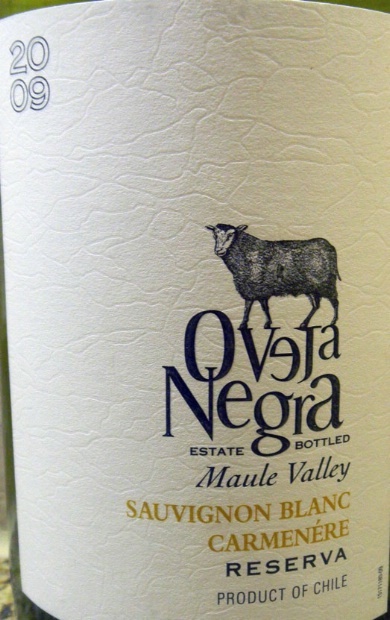 Perhaps I had a natural inclination to be fond towards the wines just because they are Chilean, or because my wife's maiden name means sheep in Italian. Perhaps that explains why I was open-minded towards wines that came in at well under $20 a bottle in BC (which has the second highest liquor tax in the world) and in general here - wines under $20 are often over-cropped, diluted and poorly balanced. Perhaps that explains my willingness to try the wines, but only the quality they deliver explains why I'm writing about the wines. VIA wines is a newcomer to Chile, having only been started in the late 1990's with two partners: a British wine merchant and a Chilean family with strong traditions in wines and spirits. They came along just at the time when Chile was truly making a place for itself among the great wines of the world, and had faith that they too could create brilliance in the most unique of places. Perhaps it is the first part of their company's mission statement that is the most telling "to craft innovative wines of the highest quality, in harmony with Nature...". Out of all of those words, perhaps the word "craft" is the most telling. Many writers will talk about the winemakers they meet, but rarely do we use the word "craftsman" (or woman) to describe that person. The truth is that even in the wine industry, there are a great many people who are just "doing their job" rather then "living their passion". Thankfully, the bold young team at VIA seem to have no end to their passion; passion for great wine, passion for working with their land in a respectful manner, passion for reducing their carbon-footprint in every aspect of their business, and passion for getting you the best wine for the best price. Admirable ambitions, but let's see how they measure up in the glass. FOOD PAIRINGS: vibrant acidity wants for a bit of fat, and I would use seafood... consider a sushi experience with sea urchin or, for the less daring, try it with your butter poached crab or grilled prawns and watch it sing! FOOD PAIRINGS: an easy one, just buy the best cut of beef you can, season it with salt and pepper, and have some potatoes and veggies for garnish.... a truly versatile wine it would also be brilliant with a charcuterie platter; some dry aged sausage, some hard cheese and fresh bread! ﻿ And so at the end, I'm left re-reading my notes and finding that VIA wines is living up to it's guiding principles: "Identifying the varietals that match our estates' soil characteristics, finding a balance variety and soil that express the typicity of each one". Expressing "typicity".... that just means expressing location, or terroir as some might call it... it reminds me of what one winemaker told me. He said his job wasn't to make wine, it was to allow the wine to make itself. Bravo VIA, my expectations are now set on high for next years release!